There’s no shame in making mistakes; they happen to everyone. The problem with property management missteps is that they can be expensive and even have legal implications. One of the best reasons to hire a professional property manager for your rental real estate is protection. A Dallas property manager can protect you from all the mistakes that are so easy to make. Some errors are simple and easy to fix. Others can completely alter your experience as a landlord and property owner. Today, we’re discussing the five biggest and costliest errors that you need to avoid as a Dallas landlord. The tenant you place in your home will either make you a happy, profitable landlord, or a stressed, frantic landlord. Everyone’s perfect tenant usually has three of the same qualities. They pay rent on time, they take care of the property, and they follow the terms of the lease. You also want a tenant who is willing to stay in the property for a long time and is able to communicate any questions, maintenance problems, or concerns. Many landlords glance at an application and maybe run a credit check before approving a tenant for their property. You have to dig a little deeper than that if you want to be sure you’re getting a great tenant. If you don’t do a thorough and proper tenant screening, you could end up with a tenant who has prior evictions, a history of damaging rental homes, or a problem keeping jobs. It takes time to screen tenants, especially if you’re a landlord doing it yourself. But, not screening tenants is one of the worst mistakes you can make. Credit history. Ignore the credit score and focus on whether the prospective tenant pays utility bills and meets other financial obligations. Make sure you don’t see any outstanding debts to previous landlords or management companies. Criminal history. Recent felonies, or a history of violent behavior is problematic. Check everything from the terrorist watch list to the sexual predator database. Employment and income. You want a tenant who earns at least three times the amount of rent. Talk to employers and ask for pay stubs. Landlord references. Ask previous and current landlords about the tenant and whether they would be willing to rent to that person again. Before your tenant moves in, you need to conduct a move-in inspection. This is where you go through the property, room by room and closet by closet, and you document its condition. It’s an important step in making sure the home is ready for the tenant. It also gives you the opportunity to demonstrate what the property looks like when you hand over the keys. Make detailed notes and take a lot of pictures. No detail is too small. Photograph the condition of paint and appliances. Take pictures of floors, windows, ceilings – everything. At the end of the lease term, you’ll also conduct a move-out inspection. You’ll be able to compare the condition of the home when a tenant moved in to what it looked like when a tenant moved out. This is important because if there’s damage that you want to charge the security deposit for, you’ll have to prove that the damage wasn’t there before your tenant moved in. Judges aren’t going to take your word for it. If you withhold $200 from a security deposit to fix a wall that has a gaping hole in it, you’ll need to show a picture of that wall without the hole before your tenant moved in, and a picture of the same wall with the hole when your tenant moved out. It’s a mistake not to do this because you’ll end up spending money on repairs that should have been the tenant’s responsibility. Unless you’re a lawyer, you probably don’t spend a lot of time keeping up with legal changes and regulatory requirements. But, if you’re a landlord renting out property in Dallas, there are a few things you need to be aware of, otherwise you could find yourself embroiled in a lawsuit. There are federal laws such as the Fair Housing Act and the Americans with Disabilities Act which impact how you rent out your property and to whom. Not following these laws can cost you thousands of dollars. It’s easy to make an unintentional fair housing mistake. When landlords advertise their properties and choose tenants, they often don’t think about how their words, questions, and decisions can look to federal agencies such as the Department of Housing and Urban Development. Landlords often make the mistake of not screening all applicants consistently. You should have a written set of procedures so you can show your process of choosing a tenant to anyone who asks. Establish a list of criteria and hand that out to every applicant so that your requirements are in writing and non-negotiable. Service animals and emotional support animals are not pets. You cannot deny someone with a service animal because you have a no-pet policy. This will get you in a lot of legal trouble. You cannot allow an emotional support animal and then charge a pet deposit or extra pet rent. It’s a violation of federal law. If you don’t know the laws, you could make some very serious mistakes. New key for new tenants within seven days of move-in. Keyless deadbolts on all exterior doors. Peep holes or door viewers on all exterior doors. These are just a few of the requirements. You need to know a lot more about the landlord and tenant laws in order to avoid disputes, lawsuits, and claims. Don’t make the mistake of thinking you don’t have to worry about these things. Tenants who don’t pay rent on time are a huge problem. If you’re an independent landlord managing your own home, you probably want to be a nice person. That’s admirable. But, you have to treat this rental property like a business, because that’s what it is. It’s an investment that needs to bring you regular income. When tenants are late with rent payments, your cash flow is disrupted. It’s a mistake to be laid back about rental payments. Make sure your lease is clear about when rent is due, how much is due, and how it’s expected to be paid. The lease should also reference any late fees and other consequences that are part of your rent collection policy. Then, you have to enforce this part of the lease. When you allow tenants to pay whenever they feel like it, you’re setting a dangerous standard. What if the tenants stop paying altogether? You might find yourself having to evict them, and if you’ve been inconsistent with your rent collection up to that point, getting them to meet their obligations or leave your property will be difficult. Don’t get emotionally involved with your tenants. They will have excuses and stories for why rent is not paid on time, and some of them might even be true. But it’s your responsibility to get the rent in on time so you can meet your own obligations. If you have trouble enforcing your lease and consistently collecting rent, turn it over to a professional property manager so you don’t end up losing money or your property. Maintenance can be expensive, and if you don’t have relationships in place already with some great vendors and contractors, it can be a struggle to coordinate. However, it’s a fact that your rental property will need maintenance and repairs at some point. Some landlords put those things off, which is a mistake. You absolutely must be responsive to maintenance needs. You have to be thorough and proactive. First, preventative maintenance preserves the condition of your home and keeps it increasing in value. If you begin to ignore the small maintenance problems like leaks under sinks or holes in the roof, you’re going to end up with bigger, more complicated, and more expensive repairs in the future. You’re also going to compromise the integrity of your house. It will be difficult to increase rent or to eventually sell the home when it’s falling apart. Keep the property maintained so you don’t drive down its value. 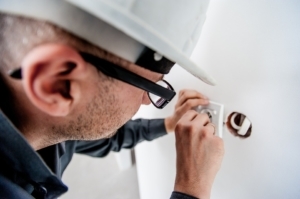 Another reason it’s a mistake to ignore or defer maintenance is that it has a negative impact on your tenants. A good tenant is not going to stay in a property that isn’t well-maintained. Your current tenants will move out as soon as they have the chance if their repair requests go unanswered. That’s going to lead to longer vacancy times and more expenses for you. Make those repairs and work with good vendors who can tell you when things are going south. It’s a mistake to think that small problems won’t get worse. These are just the top five mistakes that we see landlords in Dallas make all the time. We can help you avoid these errors. For more information about Dallas property management, please don’t hesitate to contact us at Specialized Property Management. 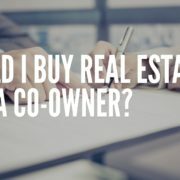 Dallas Property Managers: Should I Buy Property with a Co-Owner?